From its inception over a decade ago, the MFS industry has been through highs and lows, with some of the biggest disruptions occurring in the financial inclusion space. South Africa-based Wizzit was a pioneer in this industry, tapping into mobile technology to bring banking services to unbanked and underbanked populations in South Africa and beyond. In this first installation of our MFS Expert Insights series, we spoke with mobile money pioneer and founder of Wizzit Brian Richardson, who shared his predictions and observations of the industry and where it is headed. Richardson is a member of the Mondato MFS Experts Program (MMEP). The collective insights and experience of the MMEP experts underpin the Mondato approach, bringing together a comprehensive global network of mobile financial services practitioners and thought leaders who share a common interest in driving the industry forward and shaping the future of mobile financial services. 1). How did you get involved in MFS? Share your journey. When we launched Wizzit, were were unaware of any others in the mobile money field. The idea was prompted by a conversation with businessman Cyril Ramaphosa, who prompted me and my business partner to start looking into the plight of the unbanked. I leveraged my contacts from the banking and consulting world to conduct on-the-ground research of the unbanked and underbanked, and found that respondents all had the same answers to one, simple question: Why do you not have a bank account? The most cited reasons were cost, bank location and hours of operation. Traditional banks have segments of the market that they seek to service, which generally include the middle and upper income groups and the corporate world. Further, they are married to the paradigm of “banks = branches.” This mindset simply did not serve the needs of the financially excluded. Technology provided a potential solution. 2). How did Wizzit begin, and where is the company now? When we began to look for a solution to these challenges in 2002, we were told that what we wanted from a technology perspective could not be done. We wanted a solution that could work on any handset, any SIM card and across all networks. We felt very strongly, as we still do today, that you cannot exclude a person from financial services by virtue of the network subscription that they have, as this is clearly anti-competitive behavior. We therefore needed to find a technologist who understood banking systems and who was committed to our vision of banking the worlds’ unbanked. We knew we needed a bank partner (we had to have a deposit-taking license in order to facilitate transactions), but when no one was prepared to partner with us, we decided to start an operational entity ourselves. We launched out of South Africa and hoped to prove that our model was safe, secure, scalable, replicable, and commercially viable, in order to attract the interest of other banks. It has not been easy. If it was, everyone would be doing it. We are now ready to take our model to scale globally and our efforts will be focused on the expansion of our model in emerging markets. We have a solid strategy to achieve this and despite the fact that there is more competition than there was a few years back, the opportunity is enormous. The industry is starting to become more mature and settled, with the banks are well aware that they have to get involved in this space or risk being disintermediated. Mobile banking is for many of the banks a key element of their strategy, as is financial inclusion, and this is most encouraging. 3). What do you think is the biggest challenge facing the MFS industry right now? Regulators: Regulators in many countries and regions are debating whether or not they should allow non-registered entities to take and hold deposits. Microfinance Institutions: In many cases, MFIs are the best positioned to make a difference in the space, but are excluded because they cannot take deposits. Technology Providers: Third-party technology vendors have proliferated, but many have no track record or understanding of the seriousness of money. MNOs: Many MNOs are unclear as to what their role should be in the MFS space, whether as a channel provider or a full-service payments provider. The industry has witnessed a number of high-profile MNO withdrawals from the space due to unfulfilled commercial expectations. Card Associations: Card associations hold a lot of power and could play a key role in MFS, but their traditional pricing models may not be conducive to success. Non-traditional players: Additional players, such as retailers, are entering the space and are trying to figure out the best ways to navigate it. 4). What do you think has been the most disruptive MFS innovation thus far? The most disruptive innovation has been the use of the mobile phone technology to include the financially excluded. The real disruption has been the introduction of an alternative channel which facilitates full financial inclusion and all that this means – a safe place to store their money; ease of access to their money; a payments channel including P2P and P2B payments; improved safety and security through less dependence on cash; access to micro-insurance products; access to credit, once a track record and history with the financial institution is built up; access to other traditional financial services. Included in all of this is the ease of access and affordability that the mobile channel brings. Probably one of the biggest but least-discussed disruptions that mobile has brought is on the regulatory front, and the introduction of a risk-based approach by most regulators. Some would argue that we still have a long way to go but massive progress has been made. 5). What do you think are the biggest trends to watch in MFS this year? I think that we will see some consolidation in the space. There will be a focus on how to ensure sustainability and commercial viability, as well as increased understanding of the differences in MFS needs and requirements between emerging and developed markets. Further, there will be increased activity from banks as they try and ensure that they are not disintermediated by non-traditional players. We will likely witness some failures on the technology front, and a reassessment by MNOs of their role in this space. There will be increased regulatory pressure on ensuring level playing fields, as well as a greater empathy towards financial inclusion, and the proactive role regulators can play in this regard. Finally, we will see a renewed focus on customer needs and increased pressure towards interoperability and security. The industry is at a fascinating stage of its life cycle after close to ten years. It is hardly mature, and its full potential is not even close to being realized. The face of banking is set to change and the potential introduction of millions of financially excluded people who are desperate to be “economic citizens” into the space is going to lead to new models and new players. I am not sure that the traditional banks can be “everything to everyone” and serve the needs of all market segments, from top to bottom. I am not sure that all the hype and cost around NFC, as an example, is at all relevant for emerging markets and the billions of unbanked people. I know that our traditional banks will not and cannot cope with billions of additional customers on their legacy systems (I am also not sure that they want to). One thing I do know is that mobile has made an impact and we can regard what has happened over the last ten years as a pilot of sorts where lots of issues touched on above have been or are in the process of being sorted out. Mobile banking and all that it means (including mobile payments) is here to stay. It is part of the mainstream and will continue to grow, provided that it meets customer needs and demands. It needs to go “back to the basics” and be safe, secure, quick and easy to use. It needs to be interoperable and universally accepted. 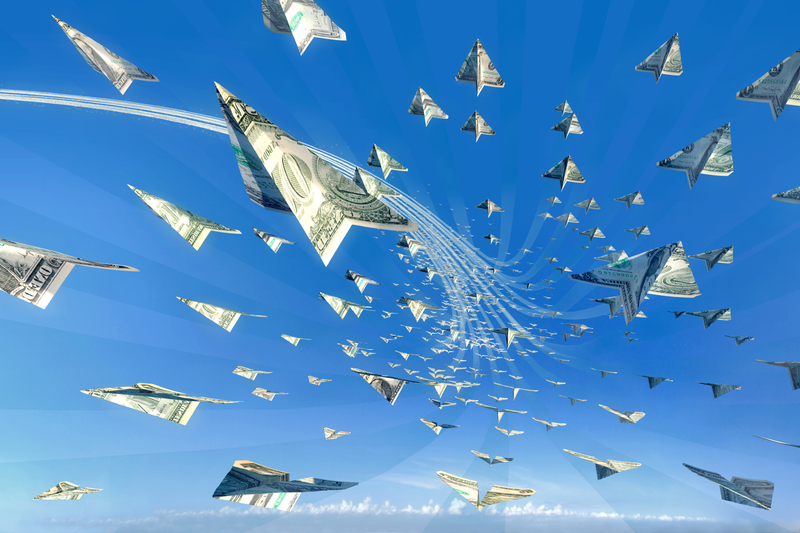 Cash truly is the enemy in all of this and it is going to take a concerted effort by all involved – banks, Central Banks, Government, business, retailers and consumers – to ultimately change the behavior of people and move from a dangerous, costly inconvenient world of cash to something far more convenient and cost effective. Mobile has made a start in addressing this but we have a long way to go. Brian Richardson is the Founding Director and CEO of WIZZIT International, an entity whose mission is to bank the unbanked population of the world using mobile technology. 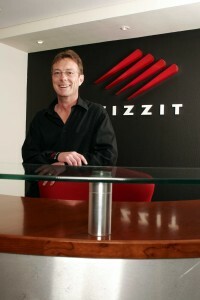 WIZZIT was launched in South Africa in November 2004 and was the first to launch, as part of its offering, mobile phone banking that works across all networks, handsets and SIM cards. Since its launch in South Africa, the WIZZIT model has been deployed in 9 countries and has over 6 million customers through partner banks.